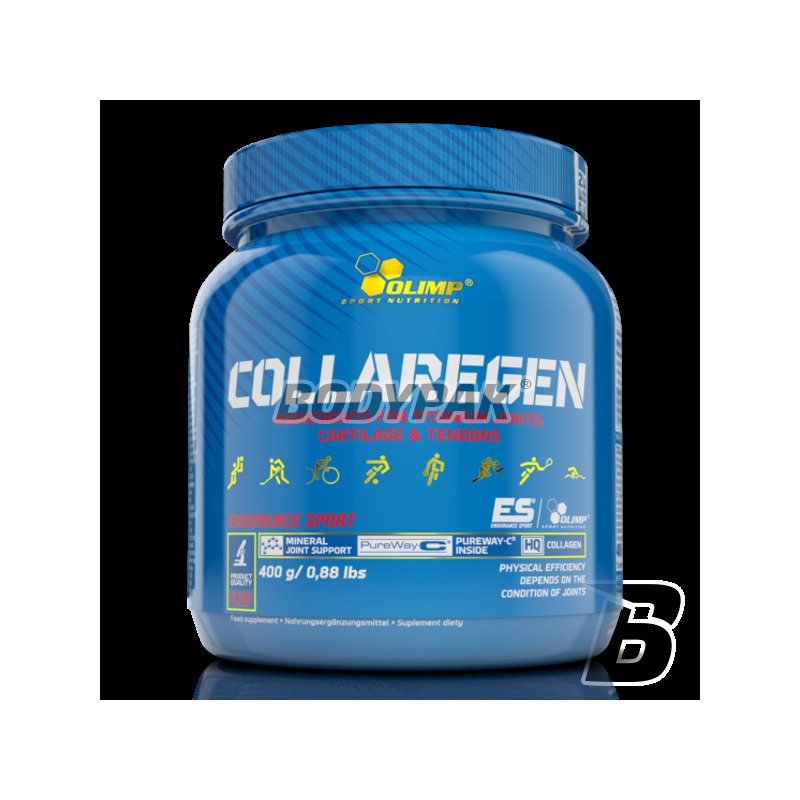 Collaregen - This contains collagen, the main component of connective tissue and the innovative combination of a highly absorbable microencapsuled vitamin C (PureWayC ®), which contributes to the natural production of collagen and the proper functioning of cartilage and bone. CR contains the manganese and copper in the form of amino acid chelates Albion, which also contributes to the formation of normal tissue. The product is intended for people who care about the state of your connective tissue and they want to keep it in good condition. 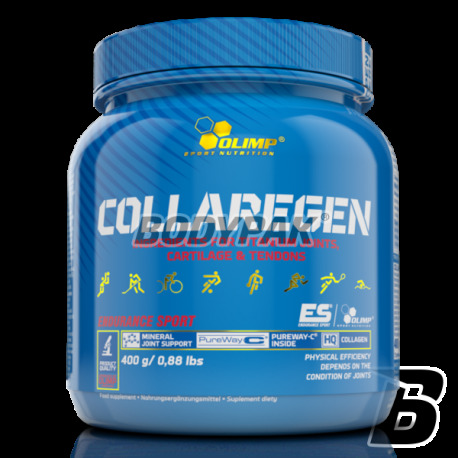 The product is recommended for a person exposing their joints, cartilage and tendons, as happens during exercise or overweight people. Ingredients: 91% collagen hydrolyzate; Malic acid, citric acid - acidity regulators; Maltodextrin, flavors, microencapsulated L-ascorbic acid (PureWay-C®) - vit. C, sodium cyclamate, sucralose - sweeteners, manganese diglycinate (manganese amino acid chelate), copper diglycinate (riboflavin), riboflavin, beta carotene (for orange flavor), riboflavin (for lemon flavor), cochineal Grapefruit, orange and cherry). Zacząłem używać przy kontuzji więzadła, od tamtego czasu włączyłem do stałej suplementacji. Od kiedy używam nie mam problemu z więzadłami czy stawami. Smak dobry. Bóle stawów ustąpiły po dłuższym stosowaniu tego preparatu. Nie potrzebuje nic innego, ten produkt jest wystarczający. Your workouts are very intense and often long? Are you afraid that your camera movement is unable to regenerate fast enough? This preparation was made for you, it's thanks to him comprehensively take care of your joints!